"A humorous documentary about horse-pulling contests in Ontario and the people who prepare for them, this film tackles heavy loads with a light touch. It travels from the farm to the contest, where excitement runs high and the quips do not lack in local colour." National Film Board of Canada. 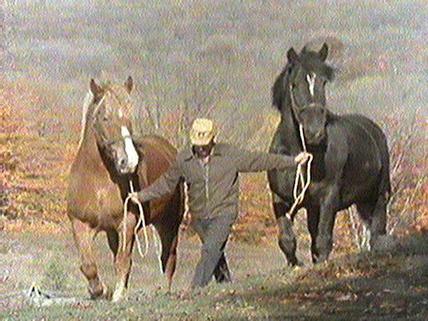 "NFB -- Heavy Horse Pull." National Film Board of Canada. http://onf-nfb.gc.ca/en/our-collection/?idfilm=12562.